As the name Renaissance suggests, we are offering a new approach to the homebuilding process. 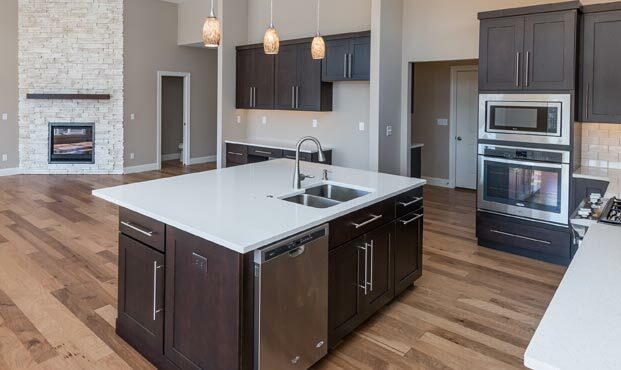 We have combined all the efficiencies of high production building with the flexibility and homebuyer participation of a custom designed home and the personal care and attention to detail you expect from a custom builder. Our team will work with you to design the home of your dreams with the features you want while helping you manage the budget. We listen to your needs and find solutions that work. Our Renaissance team designer will meet with you to review all your selections and colors to answer any questions or address any concerns you may have regarding the overall look you are seeking. Our team will keep you involved throughout the entire construction process with the pre-start review, regularly-scheduled communication from several team members, and periodic accompanied site reviews. There is no such thing as too much communication. We know you’ll appreciate the difference we offer. The process makes buying and building your new home a pleasurable one, and removes many of the stresses from the typical new home purchase. Call us today to learn more and to set up your initial meeting…or just come out to our sales center and tour our display!